Product Release prides itself on being able to fully evaluate a companies needs and coming up with the right solution to solve their problems or to improve their current processes and this was the case in one of our most recent completed projects. We were recently approached by a company that supplies adhesives to the automotive industry, the equipment that they were using to mix their adhesives was worn through usage, which had started to lead to some problems with it sticking to the surfaces of the production equipment. They wanted to make sure that their productivity wasn’t negatively impacted by degraded equipment causing further issues with their adhesives sticking, which could lead to downtime and have a direct financial impact on the business. 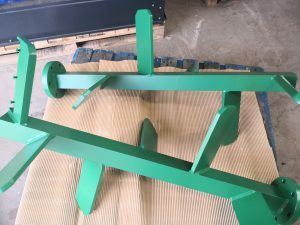 After reviewing their production process and assessing the type of adhesive they were producing, our team were able to select the most appropriate coating solution to prevent them having the same sticking problems. 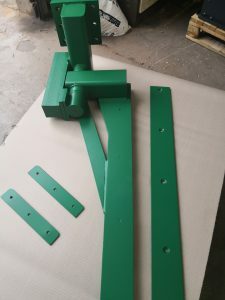 You can see the freshly re-coated industrial mixing bowl and mixing blades in the pictures below. 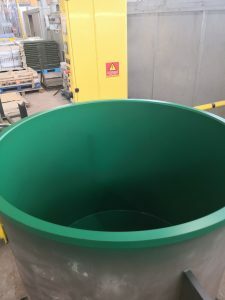 With the re-coated mixing appliances back in place, the company can rest assured that they will no longer be facing any downtime brought about by any more sticky situations for the foreseeable future. 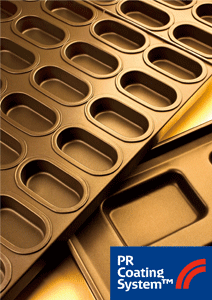 If you would like any more information on the non-stick coating services that Product Release can provide for your business, then get in touch with a member of our technical team, who can discuss your requirements.